On the island of Réunion in the Indian Ocean, there are two volcanoes: Piton des Neiges has been inactive for 20,000 years, but Piton de la Fournaise in the south is one of the most active volcanoes in the world, having erupted 26 times since 2000. 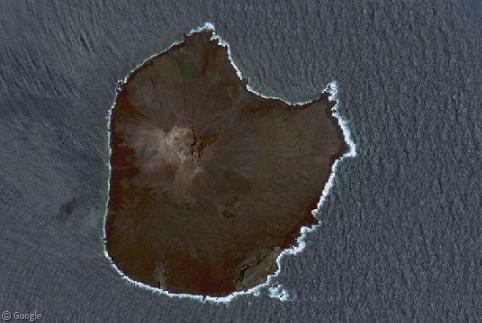 Piton de la Fournaise is a basaltic shield volcano and is 2,632 metres (8,635 ft) high – its name translating from French as ‘Peak of the Furnace’. 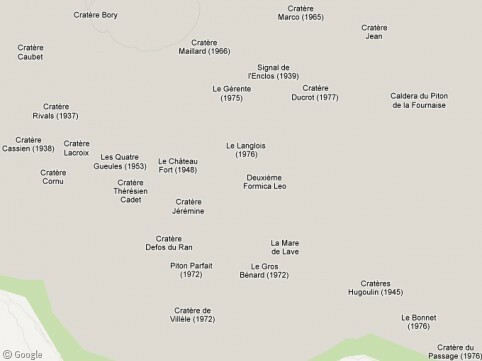 The caldera is known as Enclos Fouque, and is 8 km (5 miles) wide and as been horseshoe shaped since the eastern side collapsed. 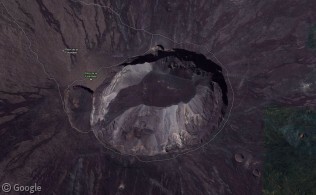 The largest crater is the Dolomieu crater, which is 700m wide and before it collapsed in 2007 was 350m deep. There are also two smaller craters that form part of the Dolomieu crater: the Bory crater (western edge) and La Soufriére (northern edge). 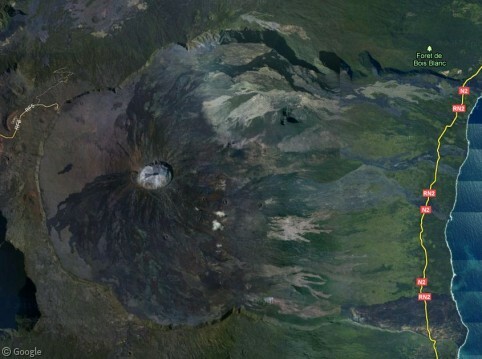 The area south of Dolomieu crater has numerous other craters, most of which are named for their date of eruption. Most eruptions occur within the caldera and some reach the sea. However in 1977, an eruption outside the caldera forced the evacuation of the village of Piton Sainte Rose. 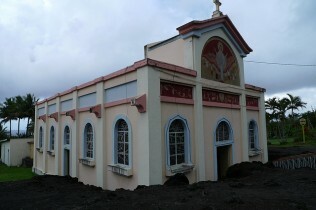 A lava flow reached the front door of the Catholic church, and stopped, while several other buildings in the vicinity of the church were destroyed. 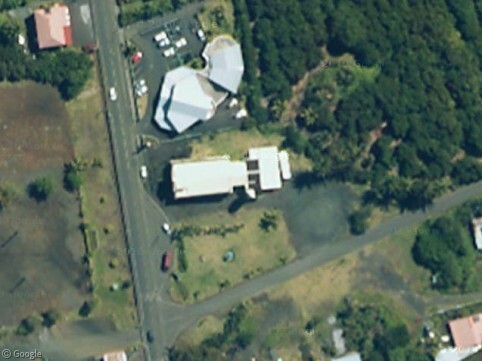 The church remains open today and has been renamed the Church of Our Lady of the Lavas.